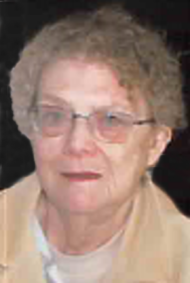 Kathryn Ann (Heal) Little, 75, of Lancaster, PA, passed away on Sunday, January 27, 2019. She was the wife of Richard R. Little, with whom she shared 52 years of marriage this past April 16th. Born in Wilmington, DE, she was the daughter of the late Walter F. and Bertha E. Evans Heal. Kate was a very talented ceramic artist, selling her works at many shows and fairs over the years in both Pennsylvania and Michigan. She had also worked as the pet department supervisor at Woolworths in West Chester many years ago. For many years, she was a committed member of Unionville Presbyterian Church, volunteering in many ways to serve its congregation. She will best be remembered for her love of musicals, movies starring John Wayne, and all things “Disney.” She was tender-hearted, giving, and had a jovial air about her, often telling jokes to prompt laughter from those around her. Kate loved to spend time with her family and her greatest treasure were her 3 grandchildren. Most recently, she was a member of St. Luke’s United Church of Christ in Lititz. In addition to her husband, Richard, she is survived by her children: Mark R. married to Angie Little of Holland, OH, and Dr. Holly A. Little married to Joel Pestrue of East Tawas, MI; her grandchildren Jackson C. and Liam R. Pestrue and Eva M. Little, and by her sister, Eileen Gargas of Telford, PA.
Friends will be received by Kate’s family on Friday, February 1, 2019 from 11AM-12 Noon at St. Luke’s UCC, 222 N. Broad St., Lititz, PA, with the Memorial Service to follow at 12 Noon. Interment will follow in Indiantown Gap National Cemetery at 2:30PM. We’re so sorry to hear of Kate’s passing. We offer thoughts and prayers to you, Mr. Little (and your family) in this difficult time. We will miss her smiling face and upbeat personality. She always brought a smile to our faces! Dr. Kline and Staff. So sad to hear of the passing of Kate. I know she will me missed by all.